So where I live has been hit by the worst weather and today it's supposed to feel like -38 degrees outside. Even though I have oily skin this weather is still causing me dry patches on the areas that I'm not as oily in. 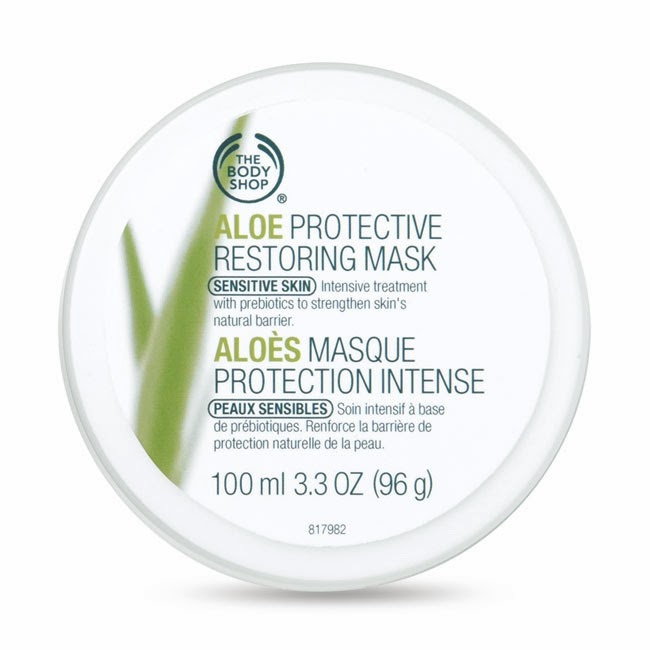 I found the best treatment at night to help my skin heal - The Body Shop Aloe Protective Restoring Mask. BEST IF YOU WANT TO: Strengthen your skin’s natural barrier with an intensive, creamy leave-on mask that softens and instantly cools. Use once a week to provide a soothing blanket of protection to sensitive skin. So I can't say that this product actually strengthens my natural barrier but I think it's an awesome overnight leave on moisturizer when you're feeling dry or tight. It's for sensitive skin so it doesn't irritate me or break me out. It instantly hydrates and the morning when I wake up I feel hydrated. I only used it as the leave on mask overnight so that I can wash my face in the morning to get rid of any excess oil it may have caused me to produce because I am very oily. Using it during the day would probably cause me to get shiny really fast but at night it's perfect to sleep in because your skin heals overnight. It comes in a jar so it's not the most sanitary mask ever but if you're hands are clean than you won't be spreading bacteria inside it. It comes with a lot of product and it costs $22 CAD but The Body Shop always has deals online or in store so most of my products I never pay full price. I love all of the masks by The Body Shop that I have tried. Have you tried any of them?